Hello. My name is Michael Attias, and I am a self-proclaimed lazy loser and damn proud of it. Feel free to call me “L Squared”. Throughout my entire life I have worn the “Lazy Loser” badge with pride. While my friends were working twenty-hour a week minimum wage jobs in high school, I chose to spend two hours a week cutting lawns that yielded me the same wage. I spent the other eighteen hours playing tennis, swimming and goofing off. When I graduated college, I spent a year floundering trying to find a big boy job. Out of boredom and lack of direction, I joined my friend Jeff Levine in taking the law school admittance test. Thankfully I did poorly. The thought of having to work an hour to make an hour’s wage, if even over two hundred an hour, sends chills down my spine. My ADD prevents me from long bouts of focused work. As a result, I have had to embrace my inner lazy. All through my career, I relied on systems to keep me from doing the work. My first system was opening and closing checklists for our restaurant to make sure it was done properly each and every time. My next systems project was coming up with a system to take daily inventory on our major meats and comparing it to items sold in our daily PLU report. This simple system kept our food cost in line. Fast forward to owning a software company and our entire company is run by systems. What problems constantly rear their ugly head in your business? As opposed to a repeat of Ground’s Hog Day, develop a system to solve it. Let me give you a very simple problem with a $5 cure. 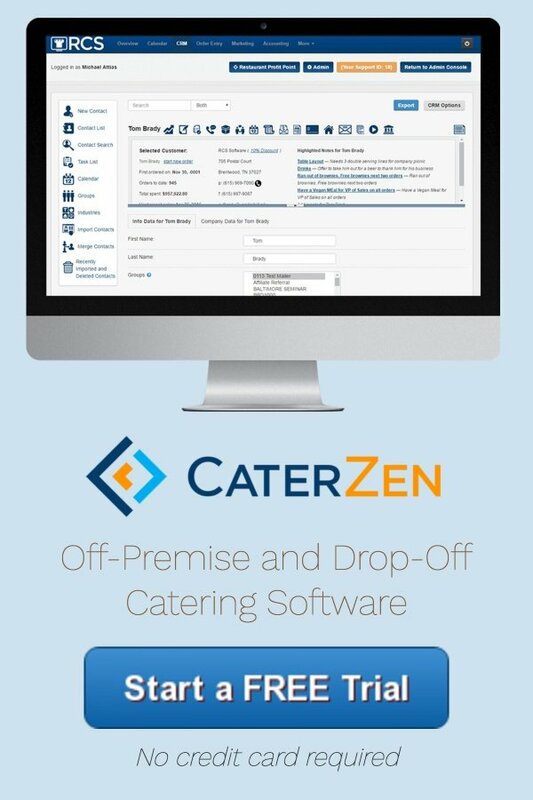 I spend about a quarter of my time conducting consults and demos about our software and catering systems via Go To Meeting. ME: Prospect. Please email me 3 dates/times (in your time zone) you are available for a consult call. PROSPECT: I am available any time. You pick. OR…. Monday at 2pm. Tuesday at 8am or 2pm. ME: Sorry. My calendar is booked at that time. PROSPECT: Never gets back with me…or we play this game of email ping pong a few more times. The solution was simple. I subscribed to Schedule Once; a software service that links to my Google calendar and lets people book time with me that works for them. They choose their time zone, so there is no mix up on getting times right. This has saved me a few hours a week and increased booked demos and consults; all worth the five bucks a month. The problem is solved. As many of you know, RCS recently updated the look of our software. As a result, we are examining each support ticket and looking for patterns. When identified, we are getting our programmers to change words, workflows and processes, to eliminate the problem. You want a company dependent on processes; not personalities. I am getting my team on the bandwagon. They are encouraged to find bottlenecks and solve them. Jillian, our Marketing Director and person responsible for managing our clients’ design projects like websites and menu creation, identified she is spending a great deal of time checking in with clients for project updates. Together we collaborated with our lead engineer to integrate text message notifications into our project management solution; Basecamp. And did I mention we went to Basecamp, because an Excel spreadsheet just wasn’t cutting it. Net result: Jillian is hearing from clients in a timelier basis, as they prefer and appreciate text message communication. Don’t let your team bring you problems. Demand they solve them. Better yet; demand they come up with a better system. My goal is for my business to run without me. Now let’s talk about being a loser. Most people dread failure. I embrace it. It is the loop from which we learn and grow. As babies we learned from failure. I start to walk. I fall into the coffee table. It hurts like heck. I will now avoid the coffee table. In marketing we call it testing. If you test a marketing campaign and it works keep doing it. If it doesn’t work, tweak it. If it still doesn’t work, scrap it. Throughout my life I have had a ton of failures. So what? Fail fast, Learn quickly, and move on. My son read one of my emails and commented about my grammatical errors. He is a straight A student at Vanderbilt and a National Merit Finalist. I barely made it through college. Sometimes it is all about speed. You have to get something out. I would rather something be 90% right than toss and toil seeking perfection caught in a labyrinth of paralysis. Now you have an opportunity to join me and other Lazy Losers at Caterpalooza: An Extraordinary Catering Conference for Restaurants. You will walk away with sales, marketing and operational systems and learn lessons based on failures. 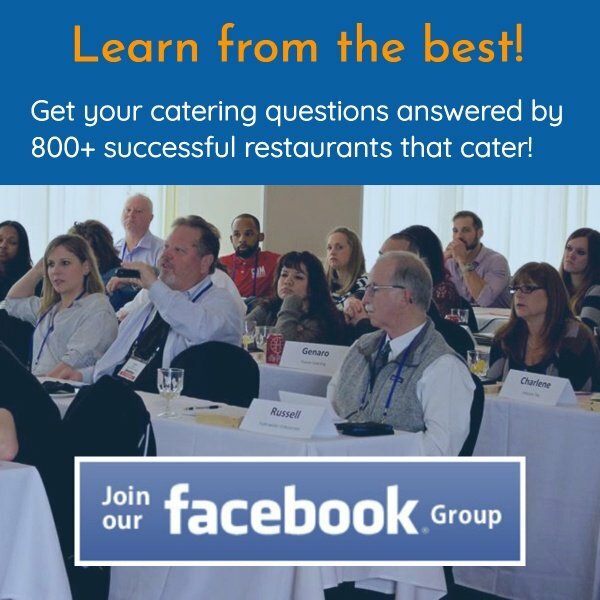 This two-day catering conference will be held in Nashville, Tennessee, March 7th & 8th, 2016. I expect this event to fill up. We are getting filled up, so make plans to attend with your team.